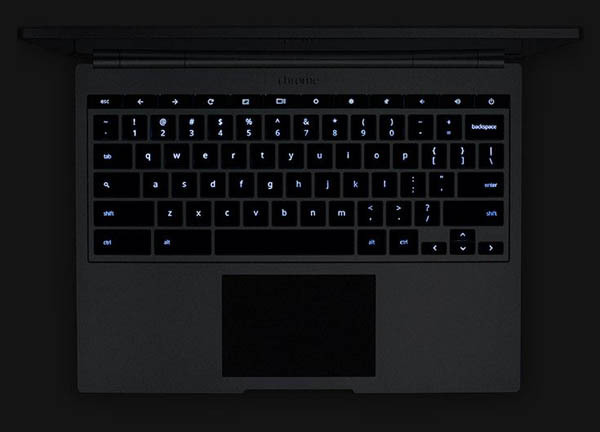 We heard rumors about the Chromebook Pixel earlier this month in the form of a pretty big leak. While many of us were skeptical, it seems that it was all quite true. 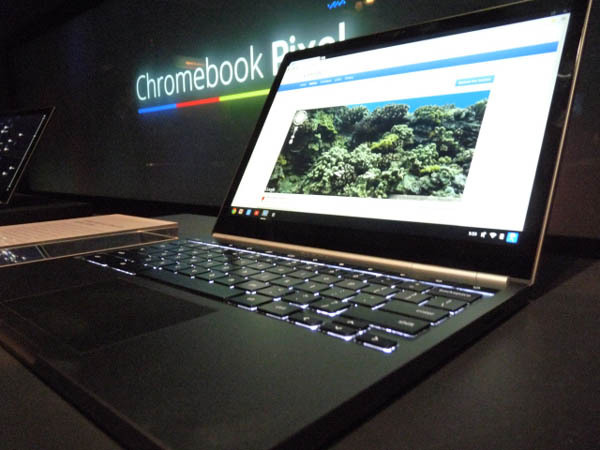 Google officially announced the Chromebook Pixel today, with pre-orders starting right now. The laptop will begin shipping in April, and it’ll cost you a pretty $1,299. The device features an impressive array of hardware specs. It has a 12.85 inch high-density 2560×1700 screen (that’s 4.3 million pixels) with a 3:2 aspect ratio, an Intel Core i5 processor and a whopping 1 terabyte of free storage on Google Drive for three years. Google will ship two versions of the Pixel, one with Wi-Fi only and one with an integrated Verizon LTE modem. You’ll be able to purchase a unlimited day pass, or add the Pixel to a existing Verizon shared data plan for $10 a month. The Wi-Fi model will come with 32GB of storage, and is on sale today for $1,299. It will ship next week. The LTE model will have 64GB of storage for $1,449 in early April. Google’s also including a full 1TB of Google Drive storage, per user, for three years, in the Chromebook Pixel’s price. “I think the hardware shines,” Google VP Sundar Pichai said at a press event in San Francisco today. Google, Pichai stressed, wanted to build a device for power users who live in the cloud. “There’s a set of users who are really committed to living completely in the cloud,” he said, and Google wanted to build the perfect laptop for them. The first thing users will definitely notice when they first open the Pixel is the screen. Not only does it have a very high resolution, but it also features a relatively unusual aspect ration of 3:2. According to Pichai, the reason for this was that Google looked at what people would do with this device, and given that the web still focuses on content that is meant to be displayed horizontally, the design team decided to discard the idea of a screen with the more typical 16:10 resolution and went with 3:2. The screen, Google says, includes a 0.55mm layer of touch-enabled Gorilla Glass fused directly to the screen. Google says this screen “gives you smooth interactions while preserving picture clarity” and after some hands-on time with the device, Google definitely isn’t exaggerating the quality of the screen, which definitely measures up to Apple’s Retina displays. Google also stressed that this is a very premium device (something that’s obviously reflected in the price). Pichai, for example, noted that the piano hinge has the feel of a “very premium car door” and the team added rounded corners to the aluminum body to make it feel better when you hold it. Google also stressed that it redesigned numerous components and often had to resort to designing its own parts to meet its specs. The team, for example, added a third microphone to the device so it not only cancels out background noise, but also the noise you make yourself when you type on the keyboard (the Pixel has a 720p webcam for Google Hangouts and other video chats, too). Google did not disclose who its hardware partners are, but the company did say that the device is being assembled in Taiwan. 100 MB/month for 2 years of mobile broadband from Verizon Wireless (LTE model). Carrier terms and conditions apply.